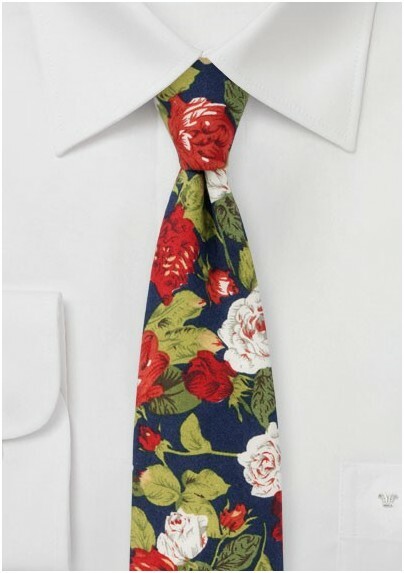 This summer tie by BlackBird features a whimsical rose bush pattern with rose blossoms alternating in white and red. 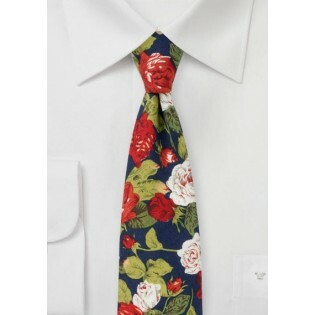 A fun tie for spring and summer events that looks fantastic when worn with just a white, cream, or light blue shirt. Also great for light gray or light blue chambray cotton and/or flannel shirts. Handmade using finest printed cotton by BlackBird.